These workouts are great as they follow a superset rule. You perform two different exercises back-to-back without a rest in-between. By doing this you stimulate the working muscles to grow. Supersets are fantastic as not only are you continuously on the move, but, if one of the items required for the exercise isn’t free, you can choose from the other. 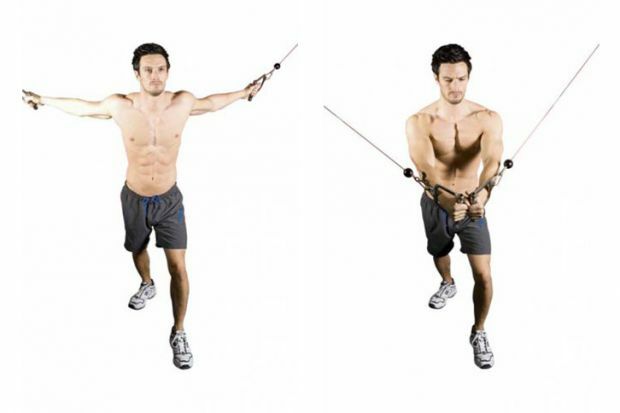 Straight sets of cable cross-overs to hit the middle part of your chest. Lie flat on a bench holding a dumbbell in each hand. Brace your core, drive your feet into the floor and press the weights up until your arms are fully straight. Slowly lower back to the start. 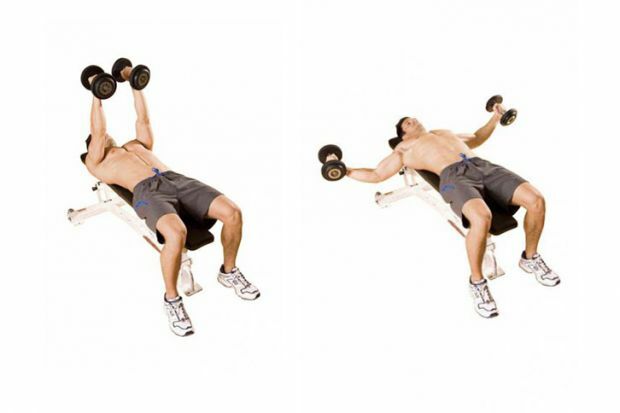 Lie flat on a bench holding a light dumbbell in each hand with your arms straight above you. Keeping your core tight, slowly lower the weights out to the sides until you feel a good stretch across your chest. 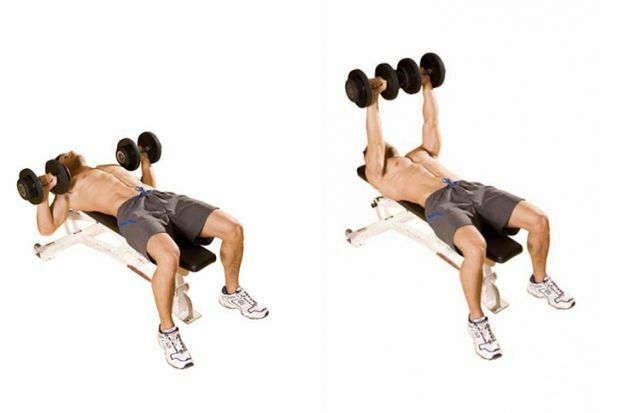 Squeeze your chest muscles to return the weights to the start. Start with your feet on a bench and your hands on another, supporting as much bodyweight as possible. Bend your elbows to lower your hips towards the floor, then press back up powerfully to return to the start. 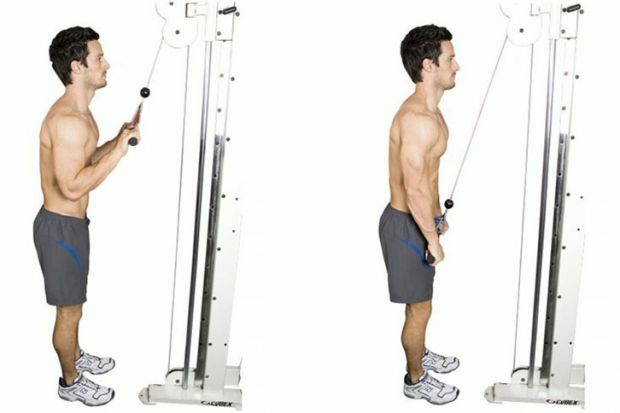 Stand in front of a cable machine holding a straight bar attached to the high pulley with an overhand grip. Keeping your chest up and elbows close to your sides, press the bar down until it touches your thighs. Slowly return to the start. Stand in the middle of a cable machine, holding the D-handles attached to the high pulleys with a slight bend in your elbows. Keeping your chest up and maintaining a slight elbow bend, bring your hands together to meet in front of your body. Squeeze your chest muscles, then slowly return to the start. Start running on a treadmill set to 12km/h with one per cent elevation. Every 30 seconds increase the elevation by one percentage point until you need to press the stop button. Rest for a minute, then repeat.